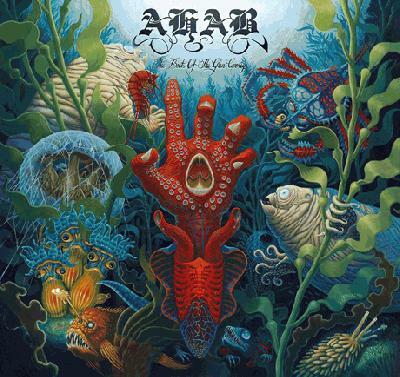 Ahab is a band as steeped in maritime mythos as any you are likely to find. Since its first saliferous demos, the quartet has evolved its sound from an otherworldly dirge to a more recognizable combination of largo riffs and ominous atmosphere. The Boats of the Glen Carrig is another step forward for the band after 2012’s The Giant saw the boldest incorporation of clean singing and dual-guitar interplay into its sound, more akin to mid-era My Dying Bride than to Ahab's debut, The Call of the Wretched Sea. “Deliverance” and “Antarctica (The Polymorphess)” showcased a willingness to let songs breathe and grow, and the result was as beautiful as it was hair-raising. Here, opener “The Isle” adds another luminous moment with its pre-climactic break before transitioning seamlessly into thundering growls. Despite the group’s continued use of inhumanly-deep vocals, Ahab is a band whose appeal often lies in the subtler moments of its craft. “I think,” frontman Droste even observes, “we've made some non-doom fans along the way."